Shortly after Charles Darwin published “On the Origin of Species” in 1959, an ancient bird known as Archaeopteryx was discovered in Germany, and quickly became renowned as the missing link between dinosaurs and birds. Above: an iconic fossil of Archaeopteryx. The evidence? Well, Archaeopteryx possesses traits which overlap with both late Saurischian dinosaurs (called dromeosaurs), as well as modern avian species. In other words, at the time, it was the most suitable missing link in the chain between dinosaurs and birds. For instance, Archaeopteryx had claws, teeth, a long tail, and a more posterior centre of gravity — all shared with its dromeosaur ancestors. 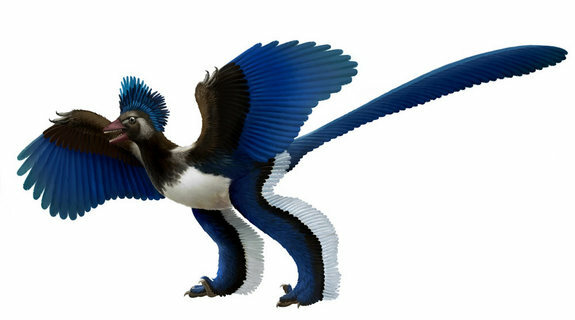 In addition, Archaeopteryx resembles modern birds with the presences of primary and secondary feathers (some asymmetric! ), a secondarily-evolved ornithischian hip condition, and an enlarged furcula (wishbone). Based on these characteristics, Archaeopteryx became renowned, worldwide, as the ‘first bird’ (Urvogel). Above: an artist’s depiction of Archaeopteryx. Recent research is boldy proposing a new ancestor to the birds, though, which would replace Archaeopteryx. 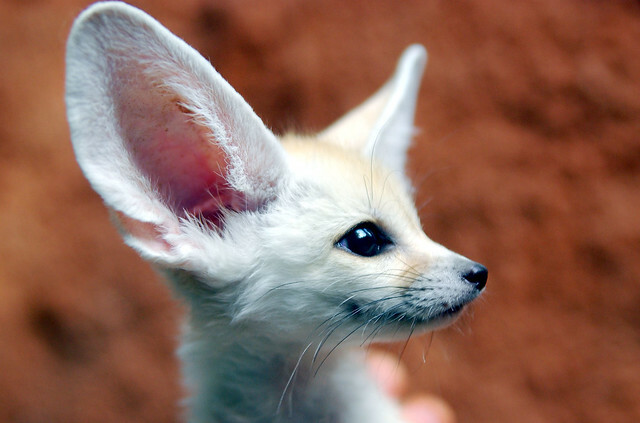 This organism is Xiaotingia zhengi, and the paper presents some valid arguments. I should also point out that Archaeopteryx is currently thought to be more closely related to the dromeosaurs, than to birds. Nevertheless the origin of birds is still p for debate, and for good reason… The fossil record is a very complicated story, primarily due to all of the missing pages. 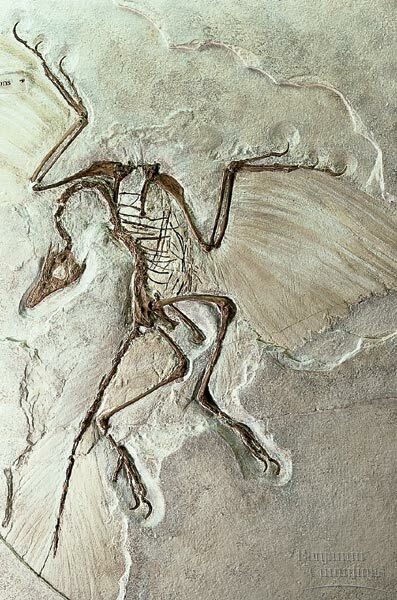 If you get anything out of this post, I hope it is an understanding that the origin of birds is inevitably highly contentious until more of the fossil record is unearthed. Above: an artist’s representation of Xiaotingia zhengi.